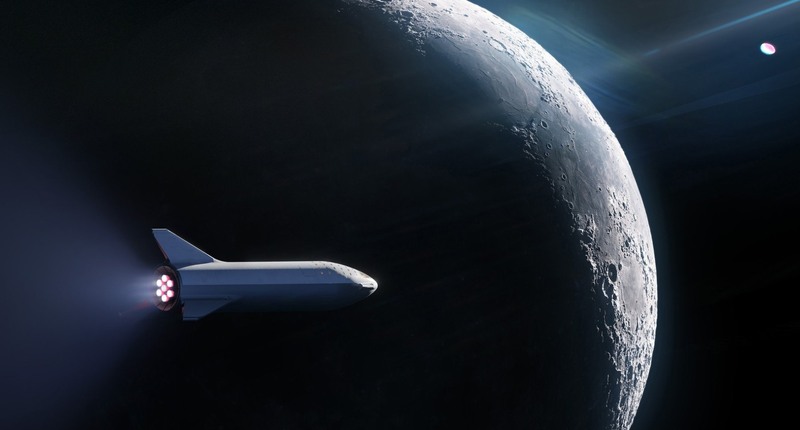 We haven't seen SpaceX's BFR -- the rocket that it hopes will enable trips around the world, to the Moon, and, eventually, to Mars -- actually take flight yet, but the company says it has already booked a private passenger for a trip around the Moon. No one has been to the Moon since Apollo missions ended in the 70s, but now, in a "world's first" SpaceX is apparently taking reservations. Details like who is going and "why" are to be revealed during a livestream on Monday September 17th at 9 PM ET. Early last year Elon Musk said we'd see two humans take that trip at some point in 2018, but now we're anticipating a delay so that it can occur on the LA-built BFR, instead of a Falcon Heavy carrying a Dragon capsule. Musk has said the spaceship part of BFR could be ready for "short hopper flights" next year and test flights in three to four years. Interestingly, he also tweeted that what's shown above is a new version of the BFR, and in response to a tweet asking if he's the passenger, posted a Japanese flag emoji.